Doctor Canter was amazing! She was through yet polite. Great bedside manners and super helpful. Dr. Canter is an amazingdoctor! Doctor Canter was amazing! She was through yet polite. Great bedside manners and super helpful. Dr. Canter is an amazing doctor! Very friendly and professional. Dr. Center explained what she was doing and asked if I had any questions. I will beseeing her again in 6 months. Very friendly and professional. Dr. Center explained what she was doing and asked if I had any questions. I will be seeing her again in 6 months. 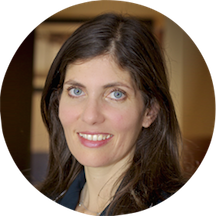 Dr. Larisa Canter is a Board Certified Ophthalmologist with a Medical Degree from Wayne State University in Detroit, MI. Dr. Canter completed her Residency in Ophthalmology at Kresge Eye Institute. Dr. Larisa Canter specializes in glaucoma. Dr. Canter is fluent in both English and Spanish. The office accepts Medicare and PPO insurance plans. The office does not accept Covered California plans. very knowledgeable and thorough in her explanations. I’ve had issues in the past with doctors not really explaining what they’re doing or what their concerns are. Dr. Canter was so helpful, conscientious and empathetic. Her bedside manner is top-notch! I rarely hear “we should have answers foryou very soon.” And that put me at ease. The staff there are all kind and respectful. Over-all great experience for a first time eye appointment. I have another appointment for tomorrow morning for more tests and I’m not dreading it like most appointments. I’ve already recommended her to my friends! If you’re looking for a sign that this is the right doctor or switch, this is it! Dr. Canter was very thorough and had excellent bedside manner. I’ve never had an eye checkup before so she walked me through everything and never made me feel rushed. I’m very happy with with my experience and will definitely continue to see her! Dr. Canter was a fantastic doctor. I had never had an eye exam before, and she walked me through each step. I am not from the area, so it is always a bit scary to go to a doctor without recommendationsfrom family and friends, but this was such a great experience! She was kind and really made an effort to get to know me, even though she was very busy. I will definitely be going back and will recommend her to others!! Very organized office, and everyone was very efficient and knowledgeable, especially the doctor. Dr. Canter was great! Very efficient and professional staff. Dr. Canter is a wonderful doctor and I am so glad I found her. She makes you feel very comfortable and discusses the problem thoroughly without any rush. Loved her for myself and then even took my children to her. Shemade them feel equally comfortable and even went out of way to teach them few things about eye parts. Her receptionist in front office, Jackie, is equally nice and very pleasant to talk. Auntie I have called her, she has responded with answers from Doctor. I will continue to be with her and definitely recommend her to everyone. She has a lovely demeanor and is very professional. I would highly recommend her! Dr. Canter is very professional and thorough, her office staff is very pleasant and efficient as well. Very professional, patient, and took the time to explain options to me. Dr. Canter is very professional, knowledgeable and accommodating. I highly recommend her. I was pleasantly surprised how organized & professional the staff were at Dr. Canter's office. Everyone was extremely friendly. Dr. Canter was warm, & seemed genuinely interested in my eye health. We did all kinds of tests, which seemed superthorough, so that was impressive, since no previous Dr. has ever done those before. Dr. Canter was not in a hurry, & took interest to answer all of my questions/concerns-really nice lady. Kendall who fitted my new glasses was so helpful-she took her time w/me to try on at least 10 pairs, until we found the perfect pair. I can't wait for my new glasses! I thought the visit was great and I liked her a lot. I had to wait 65 minutes to see her though. There was a patient without an appointment who was seen ahead of me while I waited, which I don'tthink was right. I got there early, filled out my paperwork, and was still early to the appointment time. I was very surprised that I was made to wait more than an hour which was not a good impression for me as a first time patient. She is a great ophthalmologist who also gives my dad TLC. Great as usual. t Thank you for the friendly office staff as well! It was absolutely the best doctor's office visit ever. Clean office doctor and nurse were fantastic. Very friendly, easy to talk with. Honest about my situation. Dr. Canter was very personable and knew her profession excellently and performed her functions with speed and alacrity! First time visiting this office and dr. I will def. be coming back. Perfection! I also loved the high def movies being shown around the office... nice touch. She even gave me free samples of eye drops and sunglass filter attachments for my dilated pupils after drops and exam.